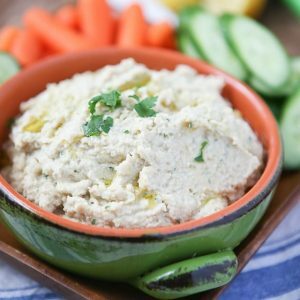 A great healthy snack or appetizer – grab your pita chips or veggies for this Lemony Artichoke Hummus dip. So, with the New Year I think it’s obvious a lot of us are in the mood for lighter food and getting back on track. I try really hard to balance things out over the holidays (I got to the gym 5 days this past week and THANK GOODNESS I did…), but let’s face it, it’s hard when there are random cookies, pizza nights or snacks everywhere you turn. I’m craving routine and I know it’s coming and with that better food choices will be a heck of a lot easier to make. One thing I’ve been struggling with lately is getting in my veggies. I know, hard to believe that this salad loving girl is not eating her veggies. Ugh. I don’t feel good about it and nothing has been appealing. 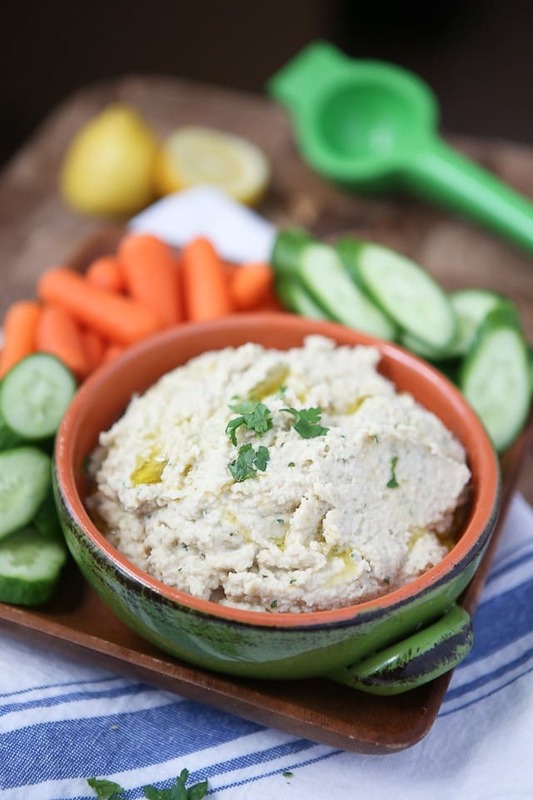 I stocked my fridge up with raw veggies ready for dipping the other day and this Lemony Artichoke Hummus is the perfect place to dip those veggies. I’ve made this homemade hummus for years and I love it because it’s so light and full of flavor from the added artichokes. This would be a great dip to serve for any football viewing parties you are still having, or to just have in the fridge ready to scoop out onto a plate of sliced cucumbers, baby carrots and celery. 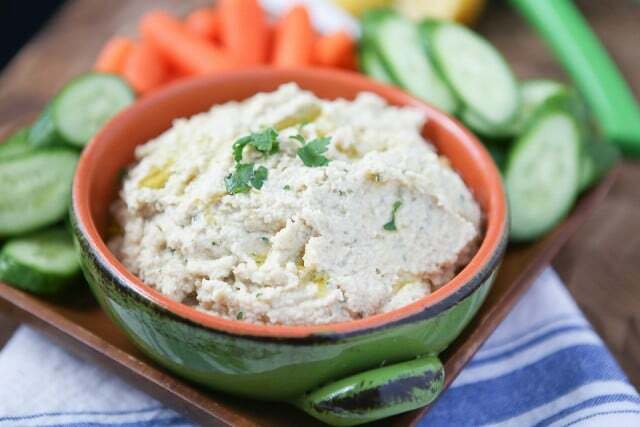 Trust me, you will feel good about getting involved with your veggies again and this Lemony Artichoke Hummus will be a huge help if you are struggling like I am! Place beans, artichokes, tahini, lemon zest and lemon juice into the bowl of a large food processor. Pulse several times until chunky. Add parsley and pulse a few more times. While pulsing continuously, stream in olive oil until smooth or until hummus reaches desired consistency. Season well with salt and pepper, taste and adjust. Serve with additional lemon and olive oil. Be sure to check out my Appetizers, Snacks and Party board on Pinterest for more healthy snacking ideas! Beautiful and healthy! Loving this Aggie!! Happy New Year! SO excited for you! Cannot wait to read more about your schooling!! Lemon and artichoke go together so well! I always forget how easy it is to make hummus. Perfect party app too! Love this, Aggie!!! Artichokes and chickpeas…so genius! Mmmm love me some hummus! I too am so glad to start the new year and get back to a routine! Good luck on your class this semester!!! So excited for you! LOVE this combo, girl. What a delightful dip! Oh my. This looks delicious.. Thank you for sharing this Aggie and have blessed 2016! We LOVE artichokes! Great addition to brighten up hummus! Printing recipe and making this! 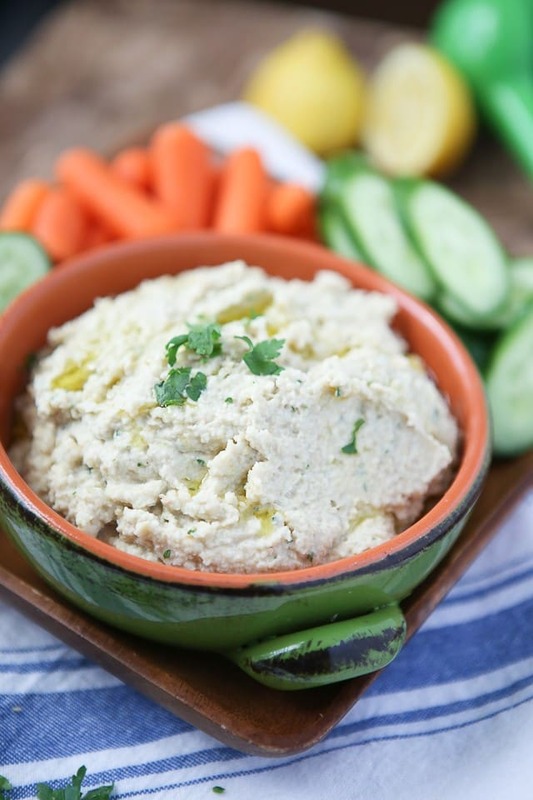 I’m loving the artichoke and lemon in this hummus – light and bright. Best wishes to you in this promising new year, you’re gonna do awesome! So wholesome and nutritious yet simple all in one. Love! Happy New Year! Best of luck on your new endeavor! This hummus looks so good, love that you also included artichokes! this is great for healthy snacking!! Good for you for going back to school!! That is something I want to do someday … but it’s going to be awhile I know! I wish you all the best! BTW this hummus looks AMAZING! I LOVE lemon + artichoke together. 🙂 Pinning!